An engineer, a psychologist, and a theologian were hunting in the wilderness of northern Canada. Suddenly, the temperature dropped and a furious snowstorm was upon them. 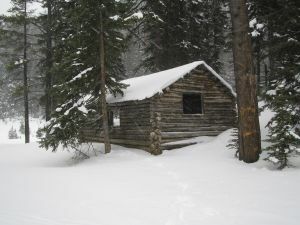 They came across an isolated cabin, far removed from any town. The hunters had heard that the locals in the area were quite hospitable, so they knocked on the door to ask permission to rest.